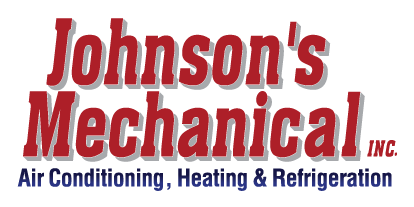 Commercial Ice Machines, Lakeland, FL | Johnson's Mechanical Inc. Commercial Ice Machines, Lakeland, FL | Johnson's Mechanical Inc.
We service commercial ice machines of all types and sizes, thanks to our extensive experience working with these systems in Lakeland. If you use an ice machine to offer your customers the indulgence of ice-cold drinks when they visit your location, it can be hard to explain when your ice machine suddenly stops working. Instead of panicking when something goes wrong with your machine, remember that our team at Johnson’s Mechanical Inc. is always ready and waiting to help. We service commercial ice machines of all types and sizes, thanks to our extensive experience working with these systems in the Lakeland, Florida area. Whether your ice machine produces full-cube, nugget, flake, or specialty pieces of ice, we guarantee we can get your machine back up and run again in hardly any time at all. This way, you don’t have to worry about disappointing your customers due to lack of ice. We want you to keep in mind that most commercial ice machines stop working because either the air or water aspect of the system gets dirty. For this reason, we encourage you to figure out how to clean your ice machine regularly and to call us for help if you aren’t sure how to complete this process. Not only do we repair commercial ice machines, but we are also available to maintain them. At Johnson’s Mechanical Inc., we want to be the first call you make when your commercial ice machine malfunctions. Reach out to us today to find out more about our exceptional services and what compels us to continually provide excellent service.